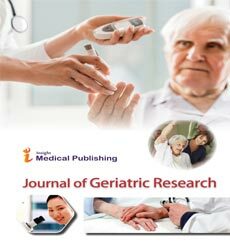 A Geriatrician is an allopathic or osteopathic health care provider who is specifically trained to evaluate and manage the unique health care needs and treatment preferences of older people. Geriatricians prevent, manage and develop care plans that address the special health problems of the elderly. Generally, geriatricians are primary care physicians who are board-certified in either family medicine or internal medicine and have completed the additional training necessary to become board certified in geriatric medicine. Geriatricians focus on maintaining patient wellbeing and independent functioning. They diagnose and treat conditions that may commonly occur with age. If they suspect cancer, neurological problems or other serious health issues, they may also refer patients to specialists and work with interdisciplinary teams to coordinate care. Geriatricians may also work with other health professionals who specialize in caring for older adults, including geriatric nurses, geriatric pharmacists, physical therapists, occupational therapists and mental health professionals.